We are very happy to have a Candian company exhibiting at the joint EuroCVD-Baltic ALD 2017 conference in Sweden. Pleas hurry up to book your exhibition table since we have only 9 left and we will most probably sell out theexhibition. 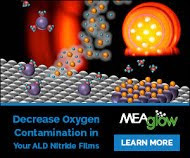 Since 2009, Meaglow has been manufacturing crystal growth research reactors and supplying Hollow Cathode Plasma Sources to upgrade ALD, MOCVD, MBE, and other custom systems. Notable achievements include growing yellow InGaN thin films in the green gap, featured in Compound Semiconductor, and Semiconductor Today. Meaglow is well known in the ALD community for a range of hollow cathode (HC) plasma sources that they offer for PEALD. Hollow cathode (HC) plasma sources, are an alternative to ICP and CCP sources. They’ve been around for quite a number of years and have been adopted for cathodic sputtering in PV systems, but past designs have been overly complicated for many PECVD applications involving the traditional material sets.(meaglow.com). Tokyo, Japan and Espoo, Finland - 30 January 2017 - Hitachi High-Technologies Corporation (TSE:8036, Hitachi High-Tech) and Picosun Oy announce a revolutionary technological co-operation in plasma-enhanced atomic layer deposition (PE-ALD). The aim of this co-operation is to bring thin film coating technologies to a completely new level. Hitachi High-Tech’s and Picosun’s joint breakthrough, the novel Microwave Electron Cyclotron Resonance (ECR) ALD technology will disrupt all advanced semiconductor industries. In the PE-ALD reactor, Hitachi High-Tech’s powerful ECR plasma generator is integrated with Picosun’s industry-proven, digitally controlled ALD system. 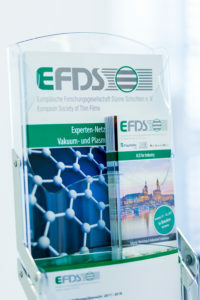 Consequently, the quality of the deposited materials is substantially better, and the deposition process is much more precise than existing traditional ALD and plasma-enhanced ALD methods. Some superior results for various nitride and oxide films have been confirmed with 300 mm semiconductor wafers so far and some other process applications are under evaluation. Hitachi High-Technologies Corporation, headquartered in Tokyo, Japan, is engaged in activities in a broad range of fields, including Science & Medical Systems, Electronic Device Systems, Industrial Systems, and Advanced Industrial Products. The company's consolidated sales for FY 2015 were approx. 629 billion [USD5.8 billion]. For further information, visit http://www.hitachi-hightech.com/global/. Picosun provides the most advanced ALD thin film coating technology to enable the industrial leap　into the future, with turn-key production solutions and unmatched expertise in the field. Today, PICOSUN™ ALD equipment are in daily manufacturing use in numerous major industries around the world. Picosun is based in Finland, with subsidiaries in North America, Singapore, Taiwan, China, and Japan, and a world-wide sales and support network. 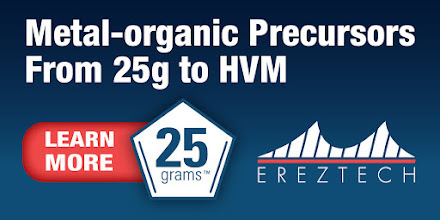 For more information visit www.picosun.com. 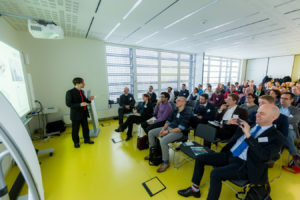 The aim of this one-day workshop is to give an overview of current topics in the field of atomic scale processing for a range of applications. It is open to scientists and technologists working in industry and academia, with an interest in recent progress plus future trends in research and development. - Participation is free but registration is mandatory. As reported today by Petently Apple, Apple's Third Major Folding iPhone Invention has come to Light Illustrating a Dual Fold-Out/Fold-In Form Factor. Earlier Patently Apple also reported that Samsung continues to internally debate whether to launch a Fold-Out Smartphone later this year (LINK). 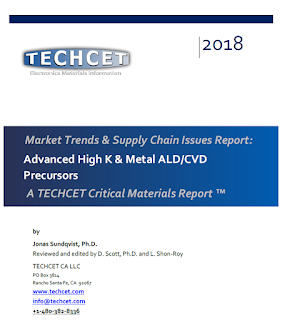 Vital Control in Fab Materials Supply-Chains: The inaugural Critical Materials Council (CMC) Conference, co-sponsored by Solid State Technology, happened May 5-6 in Hillsboro, Oregon. 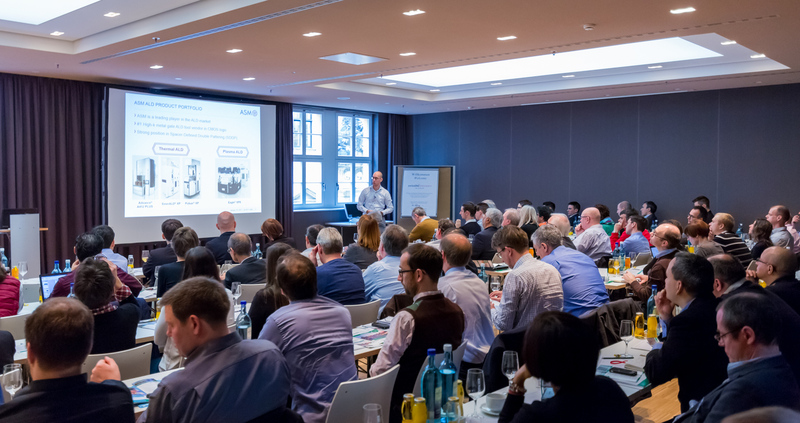 Held just after the yearly private CMC meeting, the public CMC Conference provides a forum for the pre-competitive exchange of information to control the supply-chain of critical materials needed to run high-volume manufacturing (HVM) in IC fabs. The next CMC Conference will happen May 11-12 in Dallas, Texas. Please visit Semiconductor Manufacturing and Design (SemiMD.com) published by Extension Media for the full article by Ed Korczynski, Sr. Technical Editor. 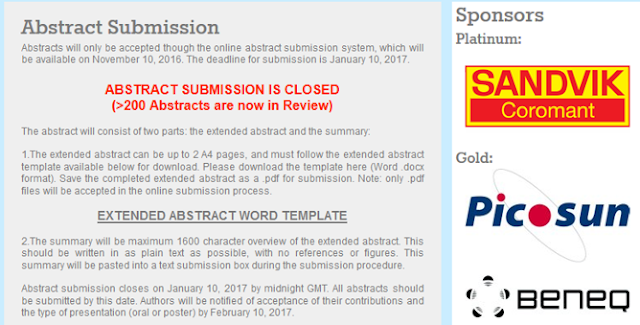 Tack så mycket CVD & ALD2017 Folks - Abstract submission is now closed and >200 Abstracts are now in review! 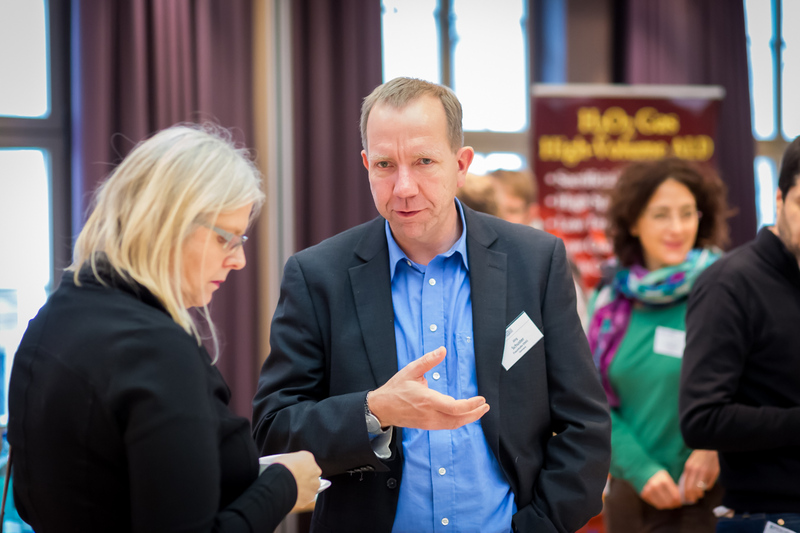 Please visit eurocvd-balticald2017.se for the latest information and support to plan your participation in EuroCVD / Baltic ALD 2017. There are still some nice sponsoring alternatives open and the exhibition also have a few places left - It will be sold out! 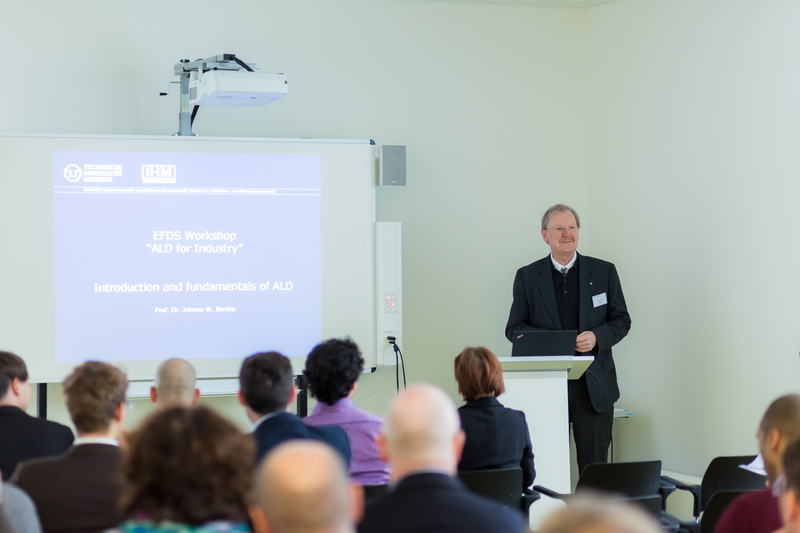 In collaboration with the EFDS we organized the workshop “ALD for Industry 2017”. We appreciate to have more than 90 participants and sponsors from all over Europe and North America. There was an diversified programm with representatives from the European and American ALD Equipment Industry : Picosun (FIN), Beneq (FIN), Sentech (GER), FHR Anlagenbau (GER), Encapsulix (FRA), ASM International (NL) and Ultratech CNT (USA). 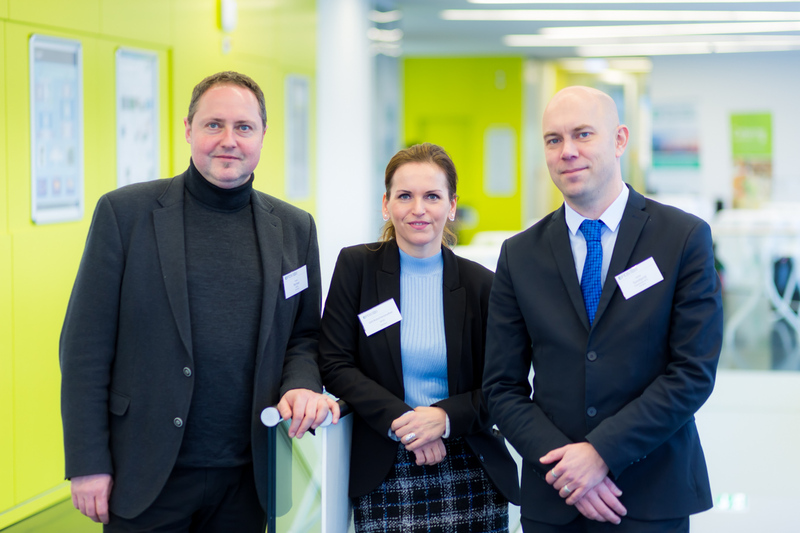 Further we welcomed representatives from the chemical industry (Air Liquide), customers (Robert Bosch) and research institutions/universities from Germany (Fraunhofer, Leibniz, …) and Finland (Aalto University and VTT Finland) who gave invited and contributed talks. After half a day of tutorials on ALD thechnology and fundamentals and a nice get-together at the Freiberger Schankhaus in Dresden in the evening, we heard great talks about the broad range of ALD processes, ALD application and ALD equipment in the great ambiance of the Swissôtel Dresden. Lam Research just presented their 4Q/2016 earnings. 2016 was the fifth consecutive year of growth and outperformance for Lam with a shipments CAGR of almost 20% over that period and shipments grew to a record $6.7 billion. As an example of the success 3D NAND shipments grew by over 80% in 2016, almost twice the rate of growth in NAND’s WFE. Please find all detailas in the Seeking Alpha Earings Call Transcript here. 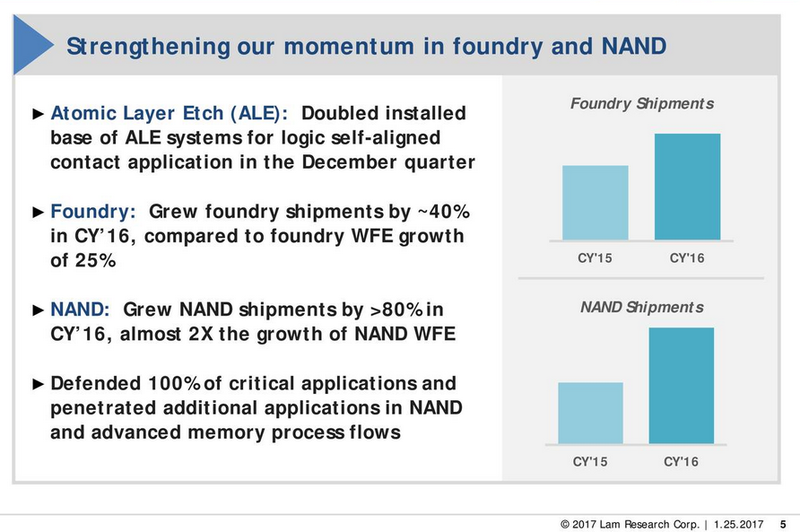 With respect to new existing atomic level control technology Lam has strengthened its momentum in foundry and logic with significant application share gains from the 2016 nodes to the 10 and 7 nanometer nodes. As an example, during the quarter they more than doubled their install base for Atomic Layer Etch (ALE) system for logic self-aligned contact application with their dielectric etch product and mixed mode pulsing technology. Seeking Alpha Earings Lam Research Call Slides here. NaMLab invites to the Novel High-k Application Workshop on March 9th and 10th, 2017. New challenges offered by the application of high-k dielectric materials in micro– and nanoelectronics will be discussed by more than 80 participants from industry, research institutes and universities. One main focus will be on the ferroelectric properties of HfO2. NaMLab created with the workshop a stimulating platform for application-oriented scientist to exchange ideas and discuss latest experimental results on MIM-capacitors, process technology, leakage & reliability as well as characterization of high-k dielectrics integrated in silicon based micro– and nanoelectronics. The ferroelectric properties of doped HfO2 and ZrO2 were discovered 10 years ago. On the second day of the workshop, root causes for the formation of this so far unknown phase will be discussed. Here is a fresh review on perovskites (thanks for sharing Henrik Pedersen) by ALD from the Group of Prof. Nilsen at Oslo University, which as far as I know are the true masters of creating and understanding complex multi component metal oxides by ALD. 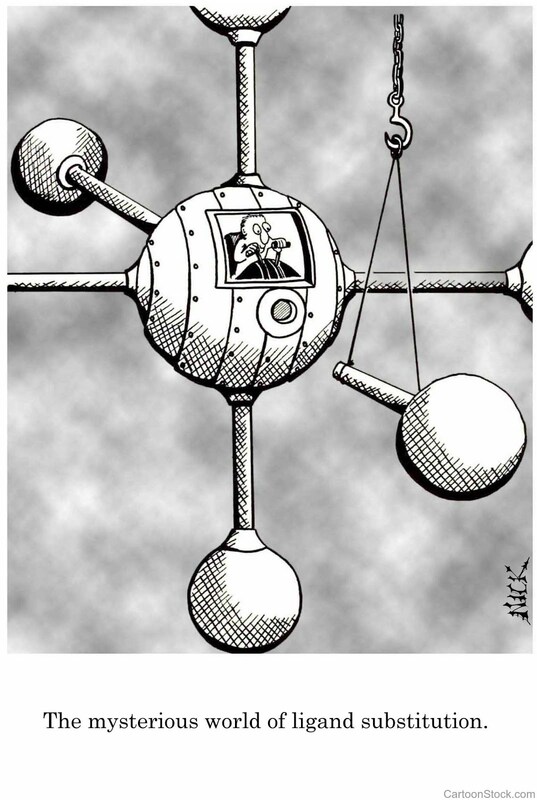 I like that the review starts by placing the topic of perovskites in a historical context "In the 90 years since Victor Goldschmidt properly described the perovskite structure in his inaugural paper “Die Gesetze der Krystallochemie”, it has become one of the most studied and iconic classes of materials". KAUST present a novel electrocatalytic and microfiltration polymeric hollow fiber using ALD of platinum that is fabricated for simultaneous recovery of energy (H2) and clean fresh water from wastewater, hence addressing two grand challenges facing society in the current century (i.e., providing adequate supplies of clean fresh water and energy as the world's population increases). Fresh water scarcity and energy security are two critical global challenges facing us today. Researchers at KAUST have now created an advanced material that can address both problems simultaneously by producing clean water and hydrogen from wastewater. Candadian researchers from University of Calgary report novel ceramic ALD coated solid electrolyte for safe Li-batteries (LINK): Existing lithium-ion batteries like those used in the Tesla Motors cars, Chevrolet Volt, Nissan Leaf and other electric and plug-in hybrid vehicles, as well as in portable electronics, use membranes of organic polymer compounds and lithium salts as the electrolyte. The electrolyte in a battery separates the two electrodes (the positive cathode and the negative anode), and conducts the lithium ions between the electrodes during charging and discharging cycles. Currently used organic polymer-based electrolytes are flammable, so fire is a safety issue. Instead of organic polymers for their battery, Wachsman and co-principal investigators Thangadurai and Liangbing Hu (at the UMD), along with other UMD scientists, used a solid ceramic electrolyte, which doesn’t burn. The research team also used, for the first time, a technique called atomic layer deposition to place a thin film of aluminum oxide on top of a garnet structure coating the ceramic electrolyte. In collaboration with COST action HERALD, Eindhoven University will host the 2nd Area Selective Deposition workshop (ASD 2017), which will be held on April 20-21, 2017. 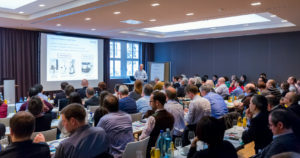 The aim of this workshop is to bring together leading scientists and engineers from both academia and industry, to discuss the fundamentals of area selective deposition, as well as its applications. Similar to last year’s successful workshop at IMEC, ASD 2017 will consist of one day of presentations and discussions. 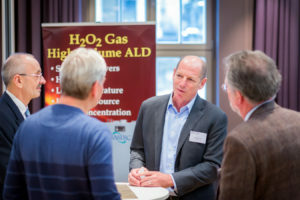 This scientific program will take place on April 21 in the city center of Eindhoven (90 minutes from Amsterdam), and will be preceded by a welcome reception at Eindhoven University on April 20. We are pleased to confirm the following invited speakers: Stacey Bent (Stanford University), John Abelson (University of Illinois at Urbana-Champaign), Rong Chen (Huazhong University), and Younghee Lee (University of Colorado at Boulder). In addition to several invited presentations, this year’s program will include a few contributed presentations to feature recent developments in the field. The topics for these presentations will be selected based on abstracts received. Furthermore, there will be a poster session covering work related to nucleation, selective deposition, and nanopatterning. The abstract deadline is February 21. Note that this deadline is relatively tight. The workshop is free, but registration for the scientific program and the welcome reception is mandatory. The registration deadline is April 12. Please see www.nanomanufacturing.nl/ASD2017 for more information about abstract submission and registration. The ASD Program Committee is looking forward to your attendance. January 16, 2017 : Encapsulix SAS today announced that it has been selected as the supplier of ALD-TFE deposition systems by a leading Asian AMOLED manufacturer. The first tool is presently under construction and scheduled for operation from the spring of 2017 onwards. The systems will be used to encapsulate flexible AMOLED displays with multifunctional nanolaminated coatings. The order was awarded to Encapsulix SAS after an extensive evaluation of available ALD equipment suppliers of barrier and encapsulation coatings. The Infinity ALD equipment platform has the unique capability to deposit the most advanced nano-engineered coatings in a manufacturing environment. These coating have an overall thickness in the 20-50nm range, and typically comprise tens of sublayers of up to 10 different materials with thicknesses in the nanometer range. A wide range of available materials includes both inorganic (e.g. Al2O3, SiO2, ZrO2, TiO2, SiNx, HfO2,..) and organic (Alucone, Zircone, ..) nanolayers allowing to engineer the barrier, mechanical, optical en electrical properties at the atomic scale. About Encapsulix, Encapsulix was founded to address the geometric scaling of critical deposition requirements for industrial & microelectronic devices and foils. The company has its development and headquarters in Simiane- Collongue France, equipment development, sales and service in the USA. 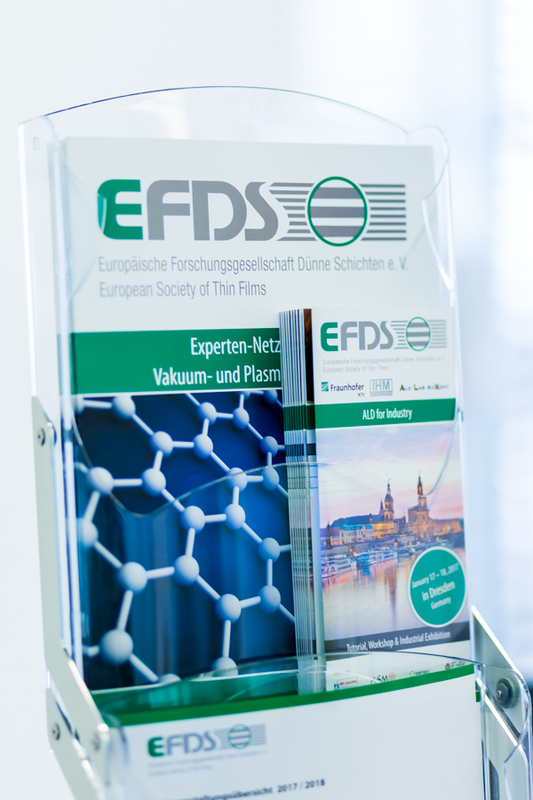 For those of you attending ALD For Industry in Dresden 17-18 of January you will have an excellent opportunity to listen and be enlightened by Dr. Kools himself giving a talk entitled "Industrial deployment of nano-engineered ultrabarriers for encapsulation of organic electronic". Starting with refractory metals and silicides in the 80's, moving to materials for advanced metallization in 1995, the MAM addresses new and challenging topics in the field of BEOL solutions, novelties in alternative interconnect systems and more widely advanced materials and structures relevant to micro and nano-electronics. Topics include both fundamental and applied research, as well as issues related to introduction into manufacturing. 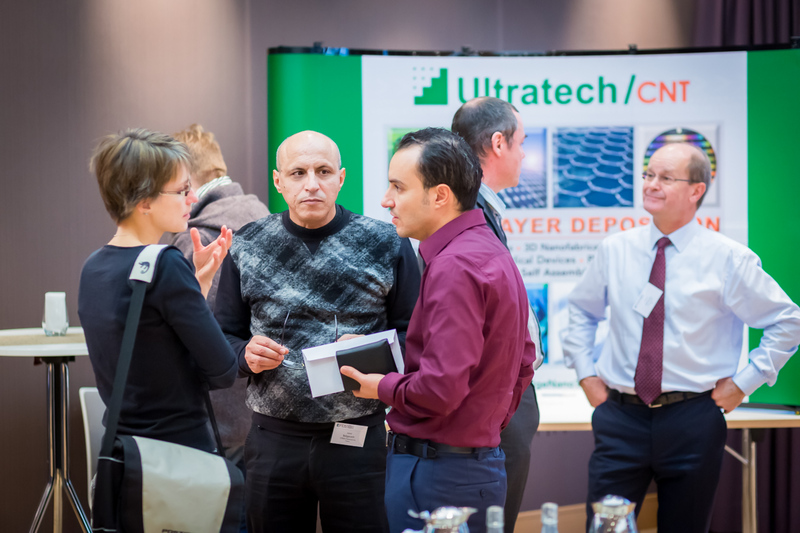 The 2017 conference from March 26 to March 29, 2017 also aims to address new challenges in the fields of Materials for Flexible Electronics, Nanodevices and Process and Device Modelling and Simulation. The Frauenkirche and the Old Masters, the Blue Wonder and the Green Vault; the picturesque banks of the Elbe river and the popular Wilhelminian district; the baroque Old Town and the modern city center are just a few examples of the city`s world famous sights. 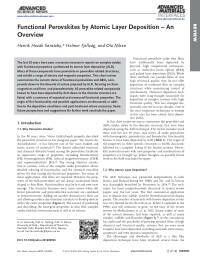 Ferroelectric hafnium oxide (HfO2) is being used in development for non-volatile memory applications, In front end by a ferroelectric MIS-FET and in backend by a MIM Capacitor integration. 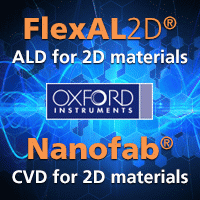 Since HfO2 is a standard material in both DRAM and Logic since 10 years or more the deposition method, tools an precursors for depositing ultra-thin layers by atomic layer deposition (ALD) are available and therefore very attractive choice as compared to more exotic materials (Sr, Ba) or previous PZT based ferroelectrics. In previous studies, mixing hafnium and zirconium oxide together, doping the HfO2 with other elements, like silicon, aluminum, yttrium, strontium, lanthanum, and gadolinium, have been used to induce ferroelectricity in HfO2. Now however, Intermolecular present new results (see below) were they by controlling the oxidant dose can promote ferroelectricity in dopant-free ALD hafnium oxide films. They were able to com near to total suppression of the monoclinic phase in sub-10 nm hafnium oxide films and obsreve a remanent polarization of 13.5 μC/cm2 in a 6.9 nm-thick hafnium oxide film. This is a similar high-k film thickness that is used in DRAM and embedded DRAM MIM Caps and also about the sam thickness that Globalfoundries, NaMLab and Fraunhofer have reported for their 28 nm FEFET NVM cells.